GLUCOSAMINE is a product containing high quality glucosamine sulphate. This substance is a component of cartilages, tendons and ligaments. 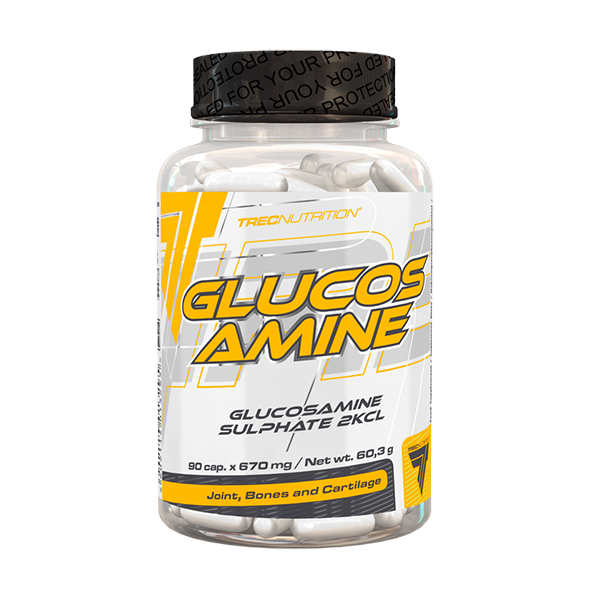 GLUCOSAMINE is recommended for people who are prone to overstrain due to active lifestyle, obesity or old age. Take a single serving of the product ‒ 1 capsule with 300 ml of water. Take 3 servings daily, preferably immediately after a meal.